More of my work from the Illustration class I'm taking here! 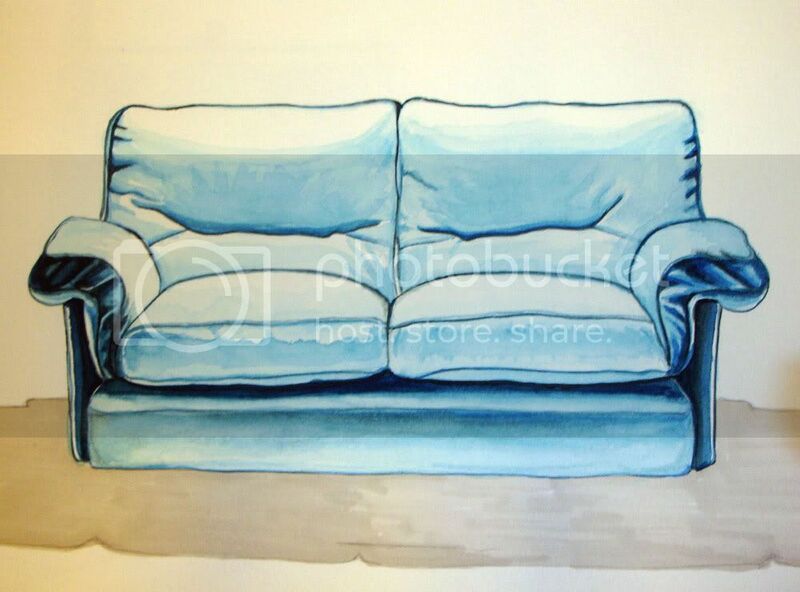 The loveseat was done completely in watercolor. This is definitely the best watercolor attempt I've had! I'm actually starting to love watercolor... I'm thinking of doing some projects outside of class using it. 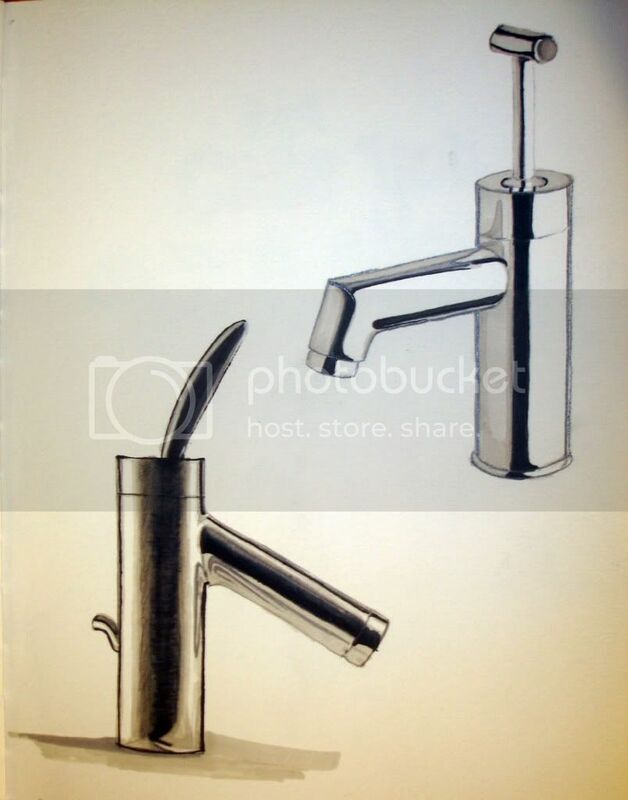 The two faucets were done in marker, using only 3 different grey markers and a black sharpie. Using marker alone is probably my least favorite medium, because believe it or not my hand is not steady enough! Watercolor and pencil added to marker take away the rigidity, hence less need for precision. But, I'm still happy with the way these came out!